The NHC’s flagship program, the week-long Summer Institute, will take place July 29 – August 4, 2019 at the University of Hartford, providing a unique opportunity for serious study, moving prayer, spirited conversation, late-night jam sessions, singing, dancing, and meditation – all in the company of more than 300 people from a wide range of backgrounds. Each year, participants leave the Institute reinvigorated and excited to return to their home communities to share new ideas, skills, and experiences. Many Jewish prayer communities mark the completion of each book of Torah with a powerful ritual. The community stands together and chants this phrase in full voice: “Chazak chazak ve-nit’hazek / Be strong, be strong, and let us be strengthened.” Our gathering in late July/early August will be our 40th annual NHC Summer Institute, and as we celebrate this milestone year, we will share our strengths, reflect on our vibrant history, and dream of possibilities for our future. Come be strengthened in community as we learn, sing, dance, pray, play and grow together! At the Summer Institute, every teacher is a student and every student is a teacher. People who are usually called “rabbi” or “professor” throughout the year go by their first names here. And people who rarely take active leadership roles in their communities discover that they, too, can teach and contribute to the community. Intergenerational: At Summer Institute, participant ages have ranged from a month and a half old to over 80 years. Children between 6 months and 12 years old can spend the week at Kids Camp. Participants from all age groups shared meals, stories, teachings, songs, and talents all week long. Pluralistic and Inclusive: The NHC Summer Institute includes people committed to various forms of traditional and non-traditional Jewish practice, Jews from birth, Jews by choice, Jews with multiple religious heritages, non-Jews, and people exploring Judaism. Diverse backgrounds and lives: NHC Summer Institute participants hold a variety of identities including LGBTQ and straight; people of color, Sephardi, Mizrachi and Ashkenazi; urban, rural, and suburban; Conservative, Orthodox, Reconstructionist, Reform, Renewal, secular, and Jewish without labels. Learning for Everyone: NHC Summer Institute participants also have a variety of Jewish learning backgrounds, from those with no formal Jewish education to those with Ph.D.s in Talmud. The dynamic process of exploring together what Judaism and Jewishness means in our lives is a highlight of the Summer Institute. Financial Accessibility: The NHC is deeply committed to making the Institute financially accessible to all. Fees are on a sliding scale, and numerous fellowships and work-study opportunities are available. In particular, first-time attendees ages 22-32 can apply for the Zeitler fellowship, college students and others ages 18-21 are welcome to apply for the Ma’avir fellowship (new this year!). For more information, see our Residencies and Fellowships page. 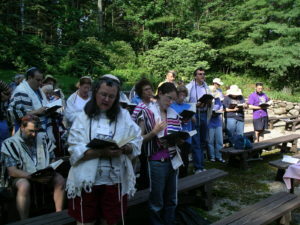 Every day at the Summer Institute, participants lead each other in a different menu of spirited prayer options in many styles, including daily traditional egalitarian morning services with full Hebrew liturgy, plus meditative, movement, and musical services, with and without instruments, both indoors and outdoors, as well as mincha (afternoon) and maariv (evening) services. All minyanim organized and sponsored by the NHC are fully egalitarian, with equal participation regardless of gender or sexual orientation. Courses are a central part of the Institute experience. Each Institute participant may enroll in two courses, one in the morning and one in the afternoon. Courses meet Tuesday through Friday for 1.5 hour sessions. Each course has a maximum of 20 students and is led by a teacher who is also an Institute participant, presenting material that they love in an inclusive style that encourages everyone to participate. Courses cover a wide-range topics, including history, Bible, rabbinics, literature, contemporary issues, arts, music, and many more. Click here to view the 2019 list of courses! One way in which we share ourselves with each other at the Summer Institute is through hour-long workshops that occur each morning and afternoon during the week. Anyone can propose a workshop, and it’s a great place to try out a new idea or experiment with teaching and leading. This is a great way to share something with our community. Workshops can be presented in any format that the teacher/facilitator can imagine, from discussion to hevruta/paired learning to lecture to shared activity (e.g., group run). Each evening after dinner, the community gathers for programming as a large group. Some of these programs may be led by the Timbrel ‎Artists in Residence, Hollander Social Justice Fellow, or the Liturgist in Residence. Some may be serious discussions of issues with which we want to engage as a community. 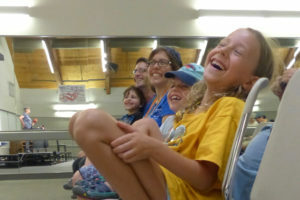 Some will be lighter-hearted ways to connect – a talent show, a dance party. The community that gathers for Summer Institute wants to make the most of our time together. Each evening after our large-group program, we offer other structured opportunities to enjoy each others’ company: making music, playing games, dancing, singing along to movie musicals, additional studying, and other sorts of merry-making. All participants can volunteer to lead a late-night program in their registration. And whatever else you want to make happen! Looking to make contact with folks from your home geography? Want to explore the themes of Harry Potter through a Jewish lens? Are you an early riser who wants to circumnavigate campus with others before breakfast? Seeking support for building your crochet or Torah reading skills? Need a haircut? Put up a notice about your interest and where and when others can meet up with you. We are the ones who build our community! We are the ones who decide what that looks like! Bobbi is thrilled to be returning to NHC this summer (after a one year hiatus), and to be serving on the Core Team. She is probably best recognized around Institute through her 3 children, who can often be seen riding unicycles, juggling, and tossing diablos high in the sky. Bobbi has offered workshops on creating Artist Trading Cards (with her daughter, Aria), and playing Ultimate Frisbee (with her son, Orr). 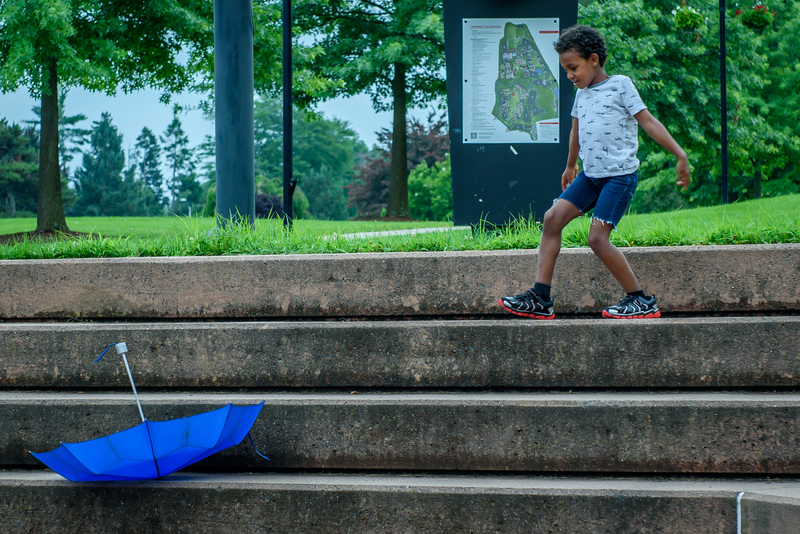 Bobbi is an early childhood educator and former homeschooling mom, whose idea of a perfect day usually involves some combination of children, cats, singing, delicious food, board games, walks with friends, books and laughter. 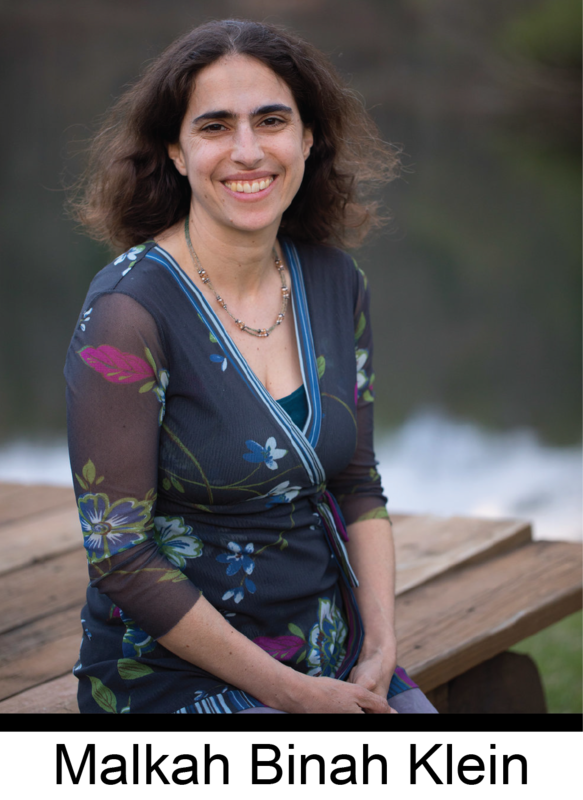 Malkah Binah is looking forward to serving on the NHC Core Team for a second year. She first came to NHC as an Everett Fellow in 1995, when she was 23 years old, and discovered in this community a feminist, queer-affirming, Jewishly vibrant intellectual and spiritual home. Three generations of her family now attend NHC. Malkah Binah is a rabbi and artist living in Philadelphia and her passion is creating sacred space that supports the deepening of authentic connection. 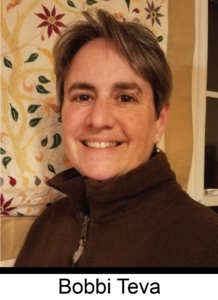 She loves hiking, reading, singing, and exploring many modalities of spiritual practice. Her writing and music can be found at thrivingspirit.org. 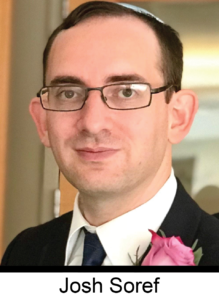 Josh is excited to help shape the Institute as part of the Core team, having grown up attending Institute since his pre-teen years. He looks forward to NHC each summer, a place of joyful connection and strengthening each other, and a place to be a kid again. For Josh, NHC truly embodies this year’s theme, “Chazak chazak ve-nit’hazek”. Josh has supported NHC’s accessibility efforts by providing real-time transcription for community-wide programs. He has also helped with other technology needs for the Institute in recent years. Josh does IT for a small company and contributes to various Open Source projects. Josh likes cycling (all weather, although preferably not on ice) and swimming. Josh’s house in Toronto has been shared with a cat for over a year. The National Havurah Committee is a network of diverse individuals and communities dedicated to Jewish living and learning, community building, and tikkun olam (repairing the world). 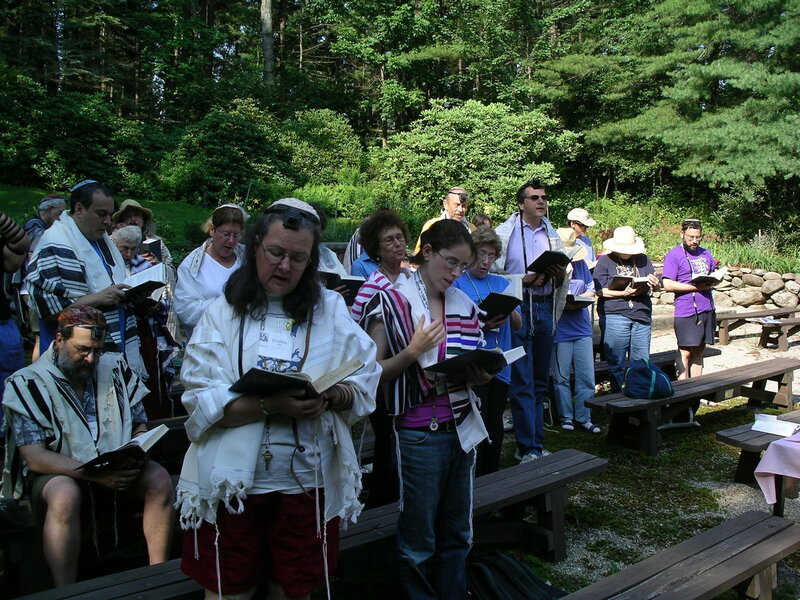 Since the 1970s, the NHC Summer Institute has been bringing together Jews from across North America to envision a joyful grassroots Judaism and provide the tools to help them create empowered Jewish lives and communities. The NHC is a nondenominational, multigenerational, egalitarian, and volunteer-run organization.